1. So first let's start off with priming the eyes and I am going to use the Too Faced Shadow Insurance and then set this with Charmer from the Tartelette In Bloom Palette to set this so the other shadows blend easier. 2. Now let's go in with Jetsetter in the crease and keep applying and blending until it's the intensity that you want. 3. For the star of the show, the Glossybox Glossy Mauve Eyeshadow which is a beautiful purpley taupe kind of shade. I first use a flat brush to apply this on the lid and blended in with the crease shade, and then to build the intensity I use my finger. You can also use a setting spray to wet your brush and then apply but it depends on what kind of look you are going for. 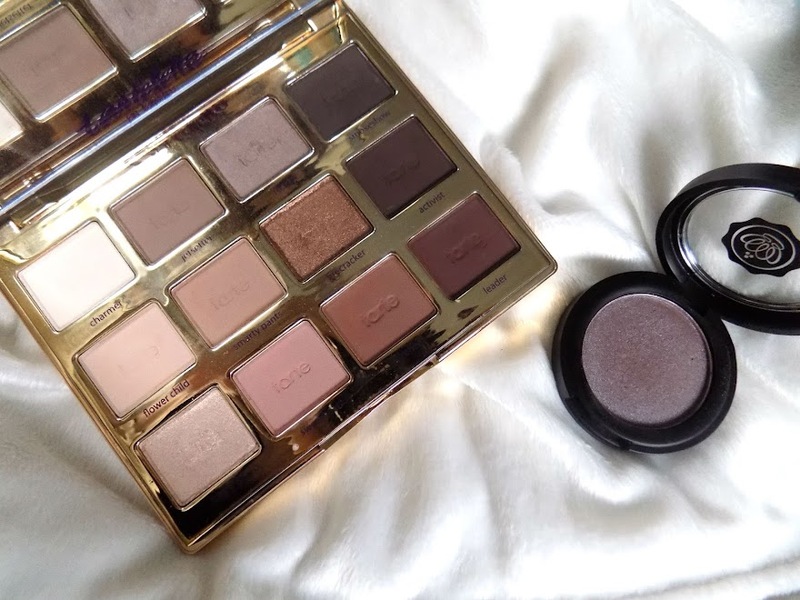 But it's shimmery, it's a subtle pop of colour for the everyday neutral shadow wearer and it makes hazel eyes really come alive and really pop against the purple hues so I am in love with this. 4. 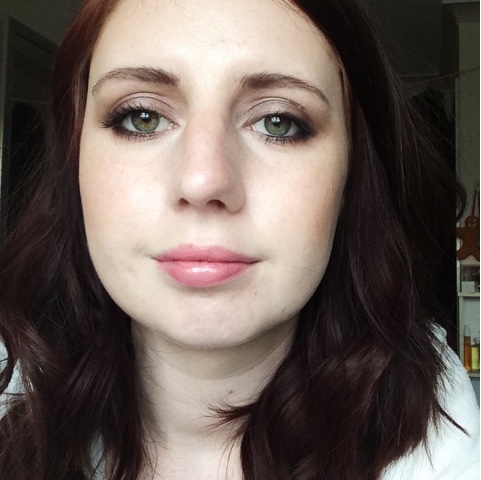 I have recently been loving a slightly smokier lower lash line so I first go in with the crease shade from before, and then using some black kohl liner run along the waterline and smudge with a pencil brush into the lower lashes slightly. One this is done. I like to run a small amount of Glossy Mauve along the lashes too to finish off the lower lash line. 5. Using the shade Leader from the Tartelette In Bloom Palette I like to smudge this into the top lashes and into the outer corner slightly. I don't want this to be too intense, just enough to make the lashes look fuller and the outer corner a little darker and connect with the lower lash line. Optional: Using my finger, I go into the shade Rocker from the Tarte Palette again and place this right in the centre of my lid just to highlight and make my eyes appear slightly bigger and rounder. It's nothing major and you can miss this part but I like how it looks. You can of course add liner and lashes to this if you like, but this is more for an everyday kind of look, whether you want to wear it for work or school or a date, whatever the occassion, it gives your eyes a brighter pop of colour and overall I just love how it looks. I hope you like this look, and if you're looking at doing something different with your makeup look, then I highly recommend giving this purpley look a go. What's your favourite eye look to make your eyes pop?